Barcelona could end the season with a La Liga, Copa del Rey and Champions League treble if things go their way this term and might then sign a Liverpool player who can’t get near the current team. If Barcelona can beat Real Madrid on Saturday evening then it would take either a very brave or very stupid man to bet against them winning the league, there’s nothing to say it can’t be the same man. Ernesto Valverde’s side are far from a classic all conquering Barcelona team but the win would put them 10 points ahead of second place Atletico Madrid before Diego Simeone’s side face Real Sociedad on Sunday and more importantly it’ll be with arguably their hardest game of the season out of the way. Barcelona’s win over Real on Wednesday meant they’re once again in the Copa del Rey final, making it the sixth season in a row, making a domestic double very possible once again. There’s still a long way to go in the Champions League but with Lionel Messi in their team anything is possible for the Catalan giants. Even with so much of this season to go Barca are starting to plan for next season and a very surprise Premier League name is being linked. According to SPORT the La Liga leaders are eyeing up a move for a back up left back and Liverpool flop Alberto Moreno is on their list. 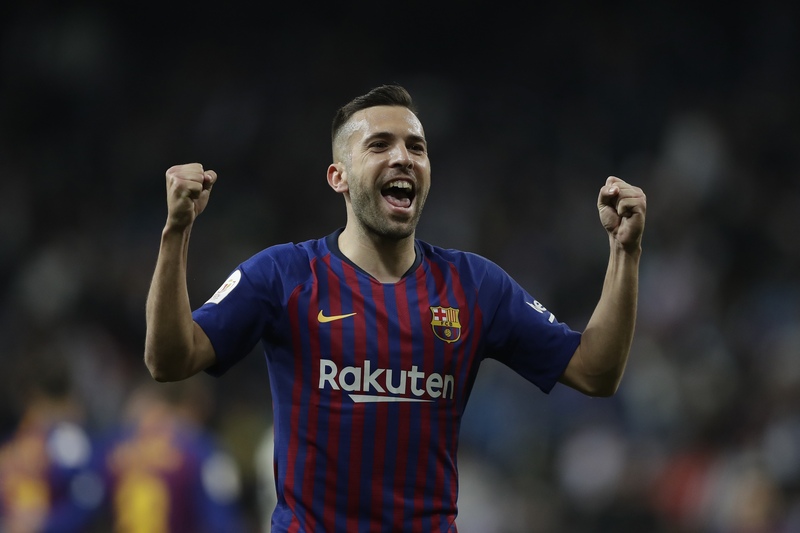 The club are currently locked in contract talks with Jordi Alba with the club really wanting the Spanish full back to stay at the Camp Nou. However they also want to make sure they have more depth in that position and would like to sign someone cheap who has La Liga experience. Moreno is joined by Arsenal’s Nacho Monreal and Atletico Madrid’s Filipe Luis as potential signings. The former Sevilla player has started just three games in all competitions for Jurgen Klopp’s side this season, twice in the Premier League and once in the FA Cup loss to Wolves. Moreno moved to England in 2014 and was the Reds’ number one left back for his first two seasons but he was hit with serious criticism for his performance in the loss to his former side in the Europa League final in 2016 and fell out of favour. Could Moreno end up at the Camp Nou?